Recently I’ve been doing a lot of hand stitching, between finishing the piecing of my English Paper Pieced table runner, and stitching the pieced Lucy Boston blocks down to the border fabric to complete my table runner quilt top. During the past weeks, I learned two tricks that have helped streamline the process, and I’d like to share them with you today. I’ll call it “hand stitching preparedness” since it seems pretty logical, even if both tips were revelations to me. The first tip came in the form of an Instagram post by Carole Lyles Shaw (@carole_lylesshaw), a simple photo of a few pre-threaded and knotted needles stuck into the arm of the couch to help streamline her binding while watching a game on TV. I saw this and a lightbulb went off in my brain: duh!! 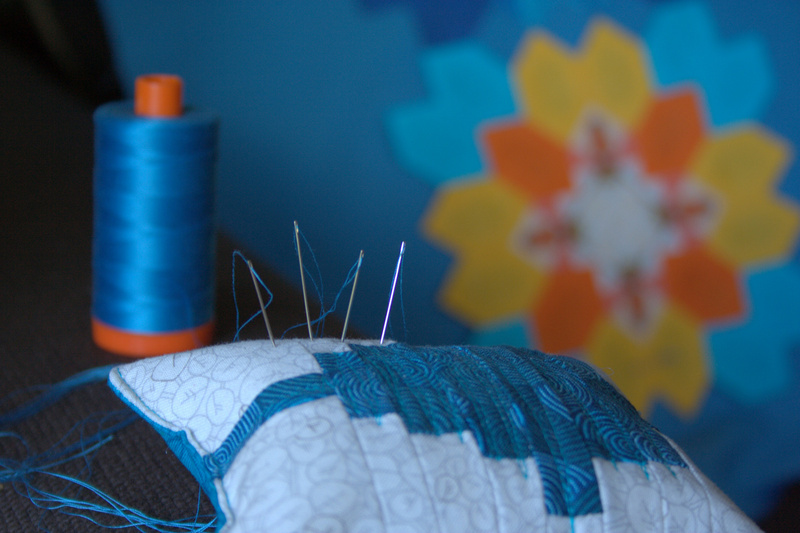 Before sitting down with your hand stitching, whether it be EPP, hand applique, or quilt binding, pre-thread and knot a few needles and have them ready and waiting within reach. The adorable needle minder was made by @whatthebobbin on Instagram. or you can just stick them into the arm of the couch right next to you. 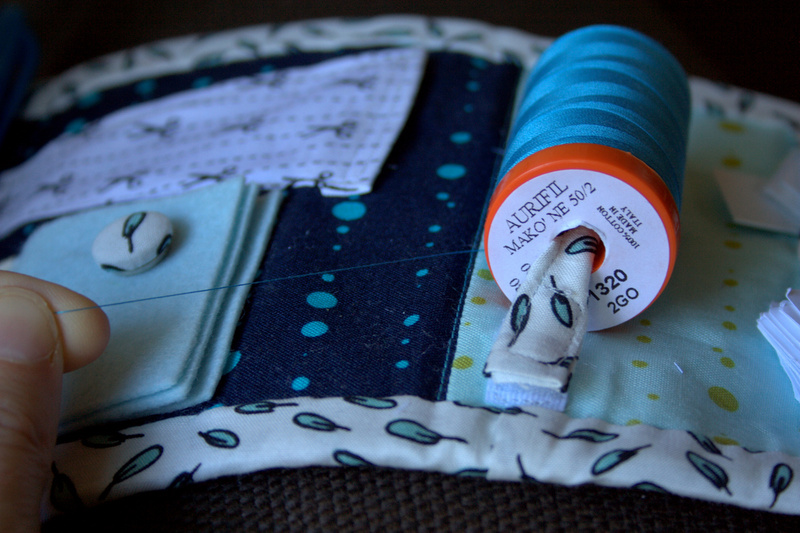 This tip came in particularly handy since I was doing my hand stitching with my sleeping baby in my lap and my scissors, thread, and other sewing tools way up high on top of the bookcase, out of reach of my curious and busy 3 year old. Talk about a game changer! 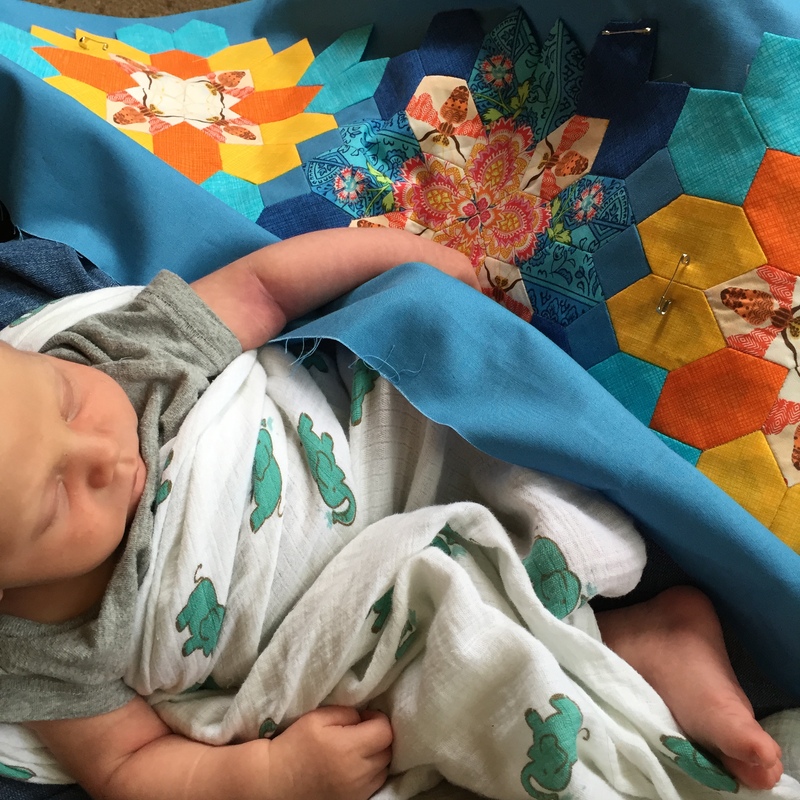 I was able to finish stitching down the blocks without waking my babe or having to juggle a sleeping baby, scissors, and sewing needles to cut new threads as I progressed. 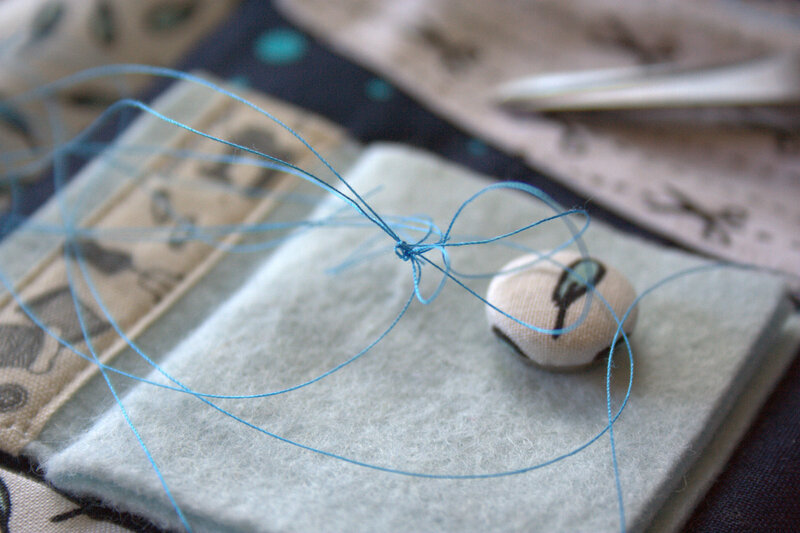 Stunning needlebook made by @mara_makes… isn’t that thread holder awesome!? 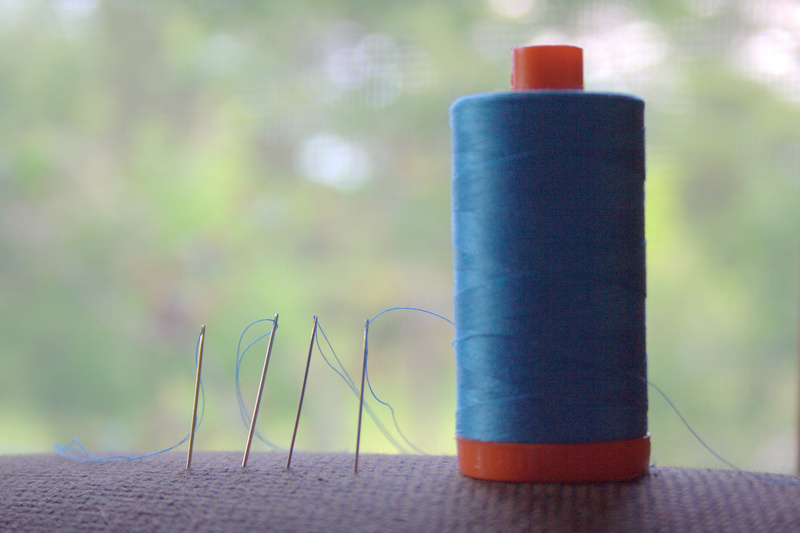 One additional bit of advice I’ll add to this tip is to lay your threads out neatly and separately when cutting them to pre-thread your needles. If you cut them and lay them on top of each other, they *may* make a tangled mess before you can thread the needles successfully. 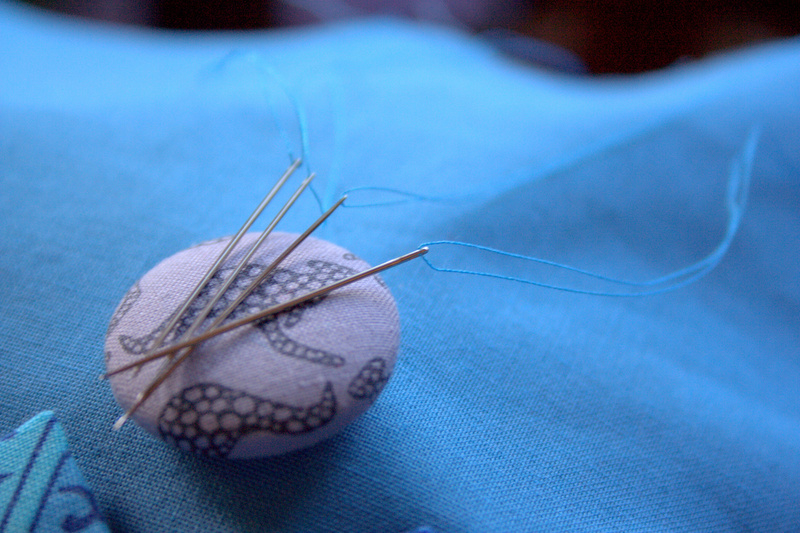 And finally, learning how to tie a quilter’s knot has saved me a lot of time with my recent hand stitching. That’s one of the downfalls of being a primarily self-taught sewist: you miss the simple basic tricks that well versed quilters take for granted. My friend Stephanie at Late Night Quilter posted this video tutorial a couple weeks ago, and I’ve made dozens of quilter’s knots since. I’m linking up with Tips & Tutorials Tuesday over at Late Night Quilter.